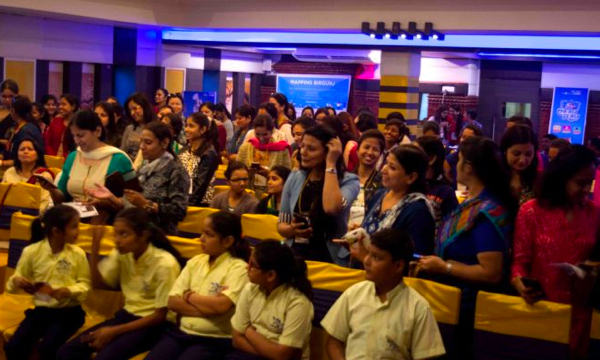 The concepts of visiting crowded markets for shopping, queuing up to pay utility bills, waiting in front of the cinema hall counters for hours and finding a place to recharge one’s mobile phone are being challenged in Nepal, as the country is slowly following the global economic trend of paperless, cashless transactions. In this article, we tell you how e-wallets are heralding a paperless and cashless economy in Nepal. 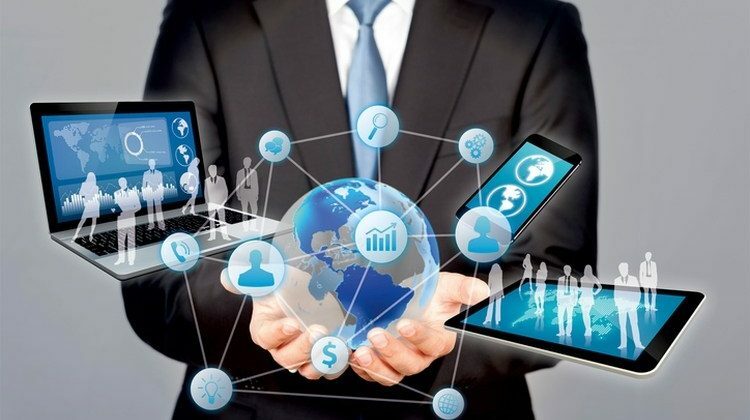 According to a report prepared by the Nepal Telecommunications Authority in late 2017, internet penetration in the country has crossed 61 percent, which translates to around 16 million people. 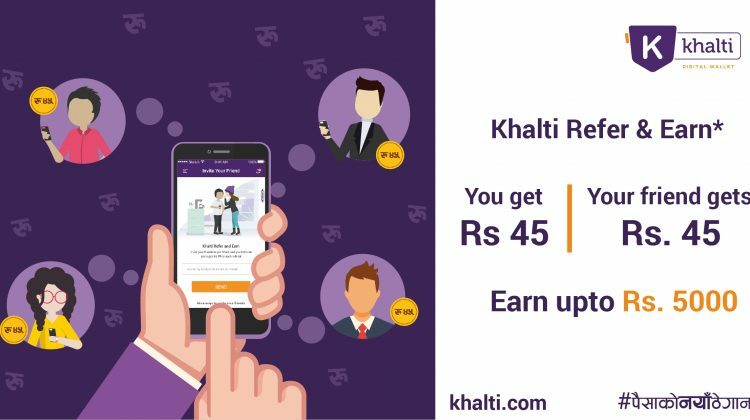 Launched in Jan 2017, the Khalti app lets users top up their mobile balance, pay their utility bills and book movie and airline tickets. 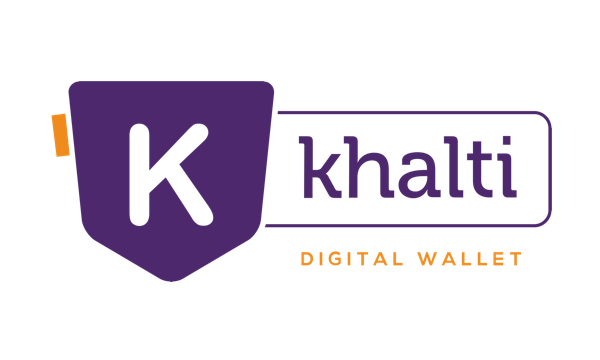 Available both on Android and IOS, Khalti offers various kinds of transactions: bank to wallet, wallet to wallet, wallet to bank and kiosks to wallet. This makes it a convenient app. With over 100,000 downloads on Google Play alone, Khalti is also one of the winners of the Google Business Group Storytelling Contest 2017. 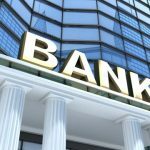 Similarly, iPay, a business subsidiary of the Muncha Group, has been in operation for the past five years. Currently linked with nine national level banks and around 200 ven­dors, iPay is next targeting Nepali rural areas where the internet is much more accessible than banks and financial institutions. 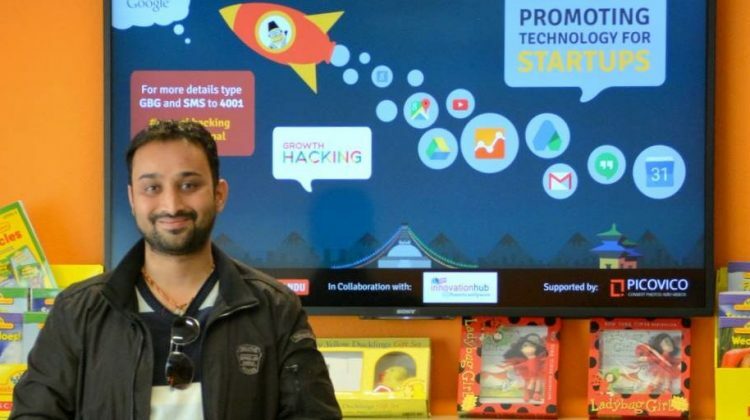 QPay, another mobile-based e-wal­let, has a business model that not only helps consumers but also small merchants. 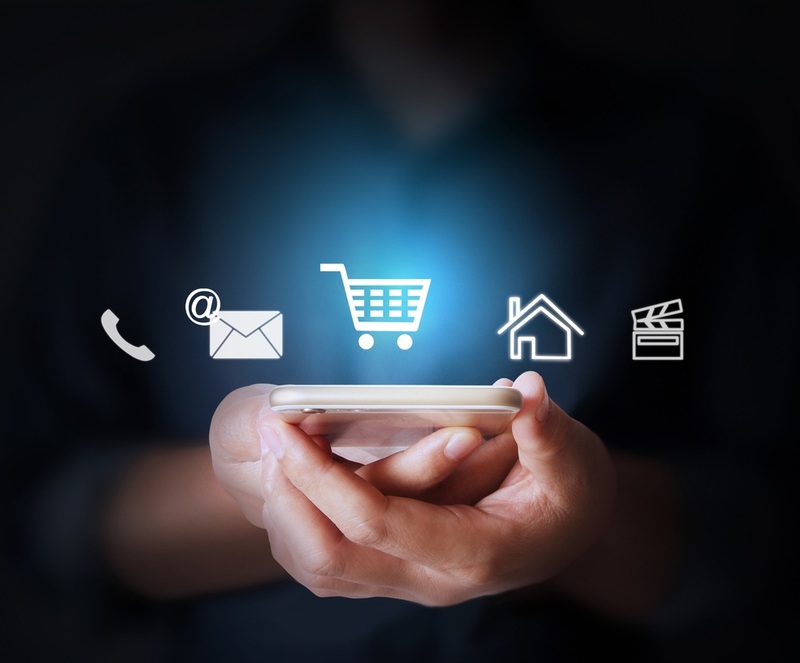 With separate download­able mobile apps for consumers and merchants, QPay offers unique prox­imity-based features that help you locate nearby taxis, ATMs, restau­rants, stores, etc and finding out about bargains and deals offered at stores in the users’ vicinity. QPay lets both merchants and consumers open accounts on its system easily and make cashless transactions based on unique QR codes provided to each user. For small merchants, the added benefit of installing QPay is that they can manage their sales revenue without having to deal in cash. It also helps them prevent theft, and to track sales record, manage inventory and generate additional income by assisting people who don’t use QPay pay utility bills, and book hotels, flights and movie tickets, or to just top up their mobile balance. 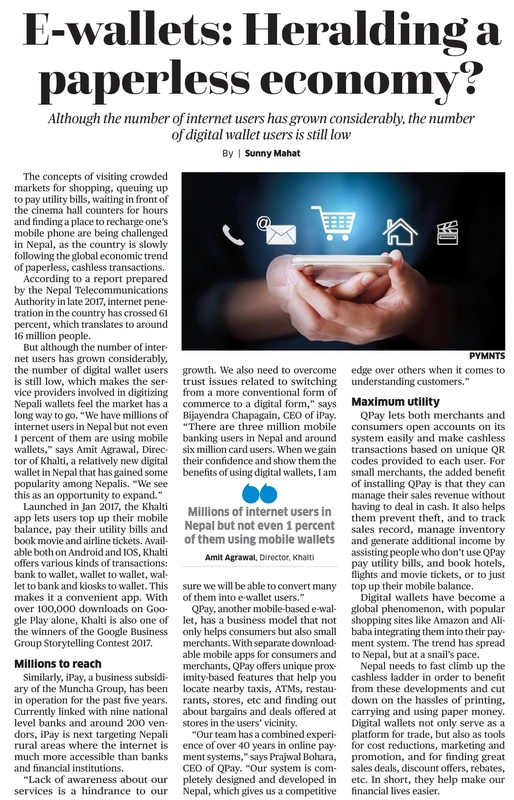 Digital wallets have become a global phenomenon, with popular shopping sites like Amazon and Ali­baba integrating them into their pay­ment system. The trend has spread to Nepal, but at a snail’s pace. Nepal needs to fast climb up the cashless ladder in order to benefit from these developments and cut down on the hassles of printing, carrying and using paper money. Digital wallets not only serve as a platform for trade, but also as tools for cost reductions, marketing and promotion, and for finding great sales deals, discount offers, rebates, etc. In short, they help make our financial lives easier. 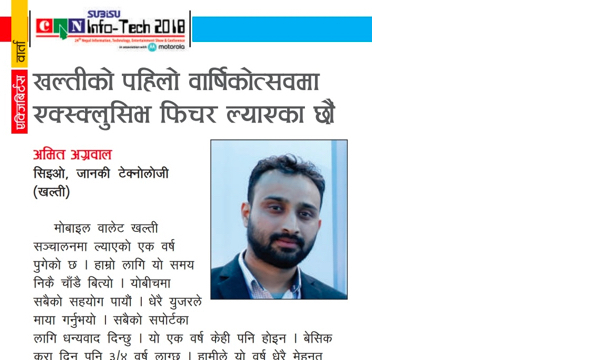 This article was originally published in The Annapurna Express national weekly. Read the original article here.